Life is short to save money, live life and do not think much about money. They are great tips to enjoy life and stop worrying, but it's not practical when it comes to wanting to achieve a big goal that is closely linked to money, like opening a new business, buying a property, a car, or even travelling . 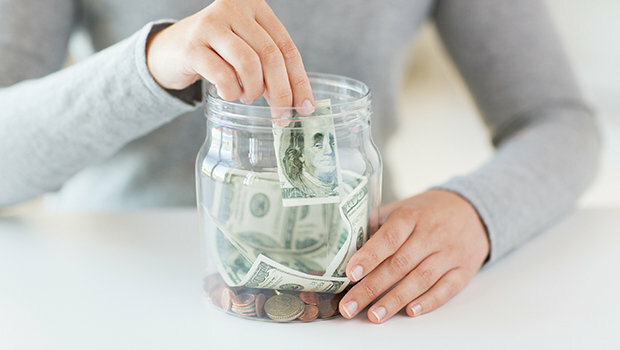 If you are serious about saving some money to invest in a new plan, here are 13 smart ways that will help you save a lot of money on a daily basis without feeling! 1 - Prepare breakfast or food at home, and take it with you instead of buying food from the outside. This will save a lot of money and will also keep you healthy. 2 - Write down what you want to buy in a paper Even if you go shopping, be specific in your choices and do not leave yourself to random purchasing decisions. 3 - Wash your car yourself and just clean it in the washing stations once a month. 4 - If possible, use public transport or metro on some days instead of driving the car every day. 5 - Avoid carrying your credit card with you at all times. Leave it at home and use it only when necessary. 6 - On Christmas, you can resort to symbolic or moral gifts or make them yourself at home instead of buying expensive pieces. 8 - Drink plenty of water! Water is necessary to give you a sense of fullness so you will not be able to spend your money on soft drinks, soda, energy drinks, etc., and it will avoid many diseases in the future. 10 - Avoid going shopping at times of stress or sadness! Or in other words, try to avoid emotional buying. 11 - Avoid going too often to malls. 12 - Look for someone safe and save your money with him. 13 - Instead of buying expensive skin care products, use natural alternatives such as oils and natural materials.